Shopping for Magnum P.I. T-Shirts? 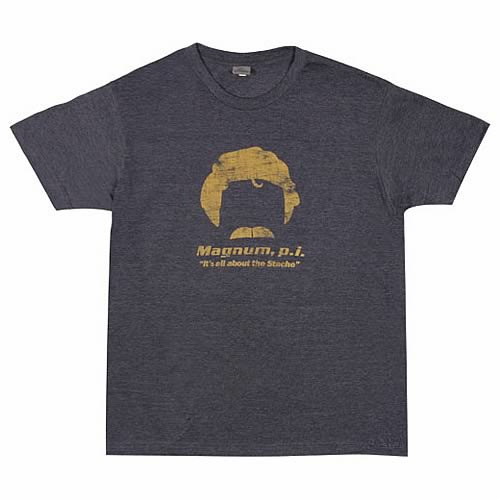 High-quality t-shirt featuring Magnum's iconic facial hair. Magnum P.I. All About the Stache T-Shirt. Bring back the effortless cool of Magnum P.I. 's mustache with this 100% cotton, high-quality blue t-shirt. Machine washable. Order yours today! Shirt says: "Magnum, p.i. It's all about the Stache."